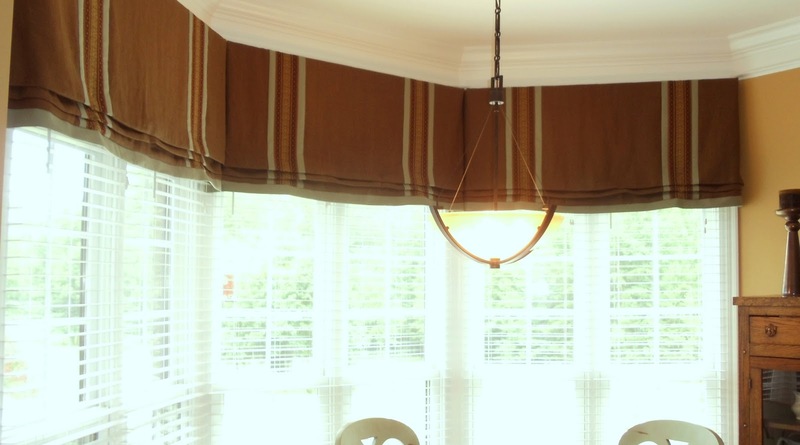 Here are four must read tips to find the right valance fabric & style! 1) Use a solid fabric for the main portion of the valance. Try using a print on the edge for trim only. By keeping it simple you won’t grow tired of it! People tell us they never tire of this, and it’s easy to find rugs or art to coordinate with a solid! We made Straps from a contrast fabric (for the valances below). choose from fabrics we spread out in her room. To find the right valance, use sketches or renderings so you’ll know what you’re getting! 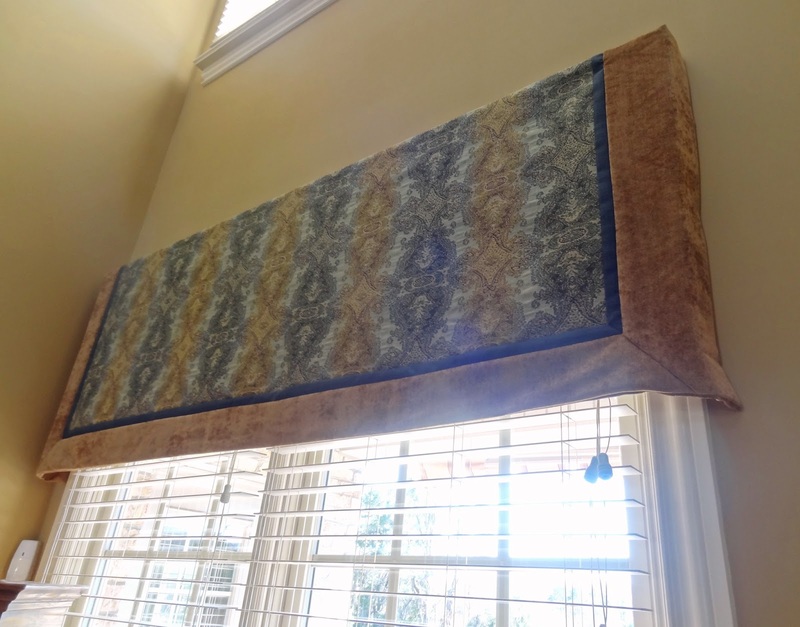 The client did not like her valance from day one. 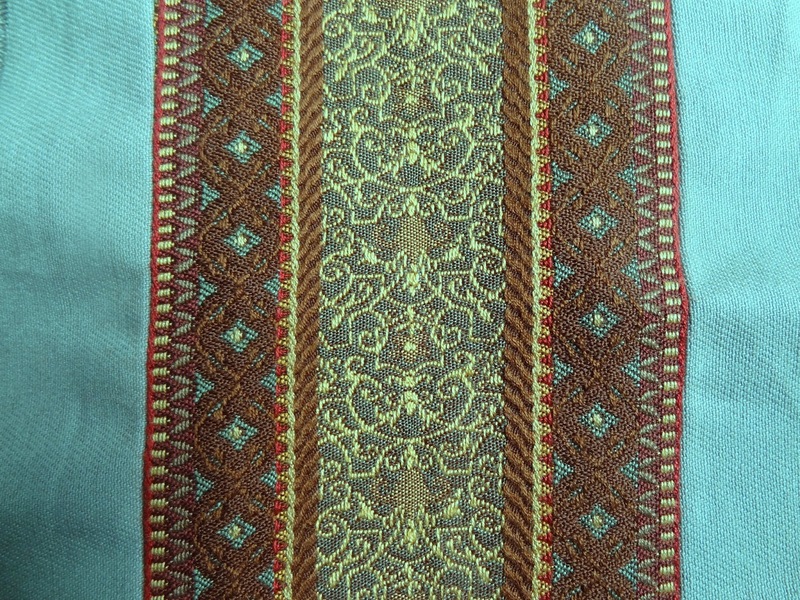 These were the fabrics we found for the valance below. 2) Stick with a structured simple style valance. Avoid ruffles and fru fru, which are more suited for a teenage girl’s room or for a master bath Jacuzzi valance. It doesn’t have to be boring, you can still add contrast welt, a contrast mitred edge, or a slight curve. They can draw the eye up to make the room feel larger or the ceilings feel taller. If you like, you can hang it so that when you raise your blinds, they’ll be hidden behind the valance. This allows a clean look. 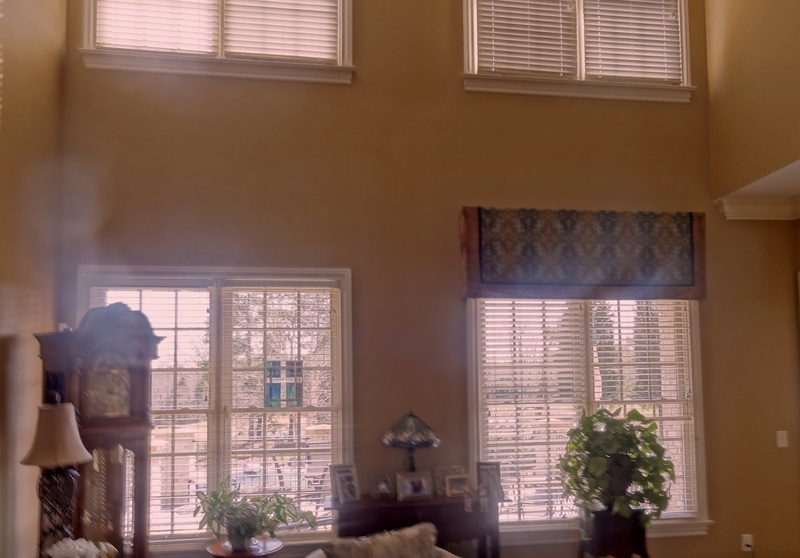 Yes, Valances are sometimes the perfect answer, as in the cases above, but the “fru fru” valances from the 1980’s are definitely out of style! 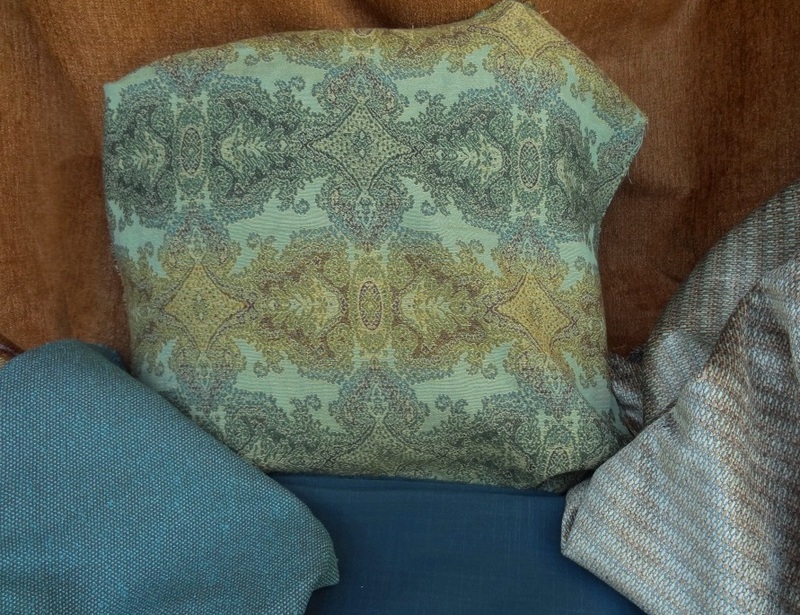 Think timeless – when you find a fabric that is not too busy you’ll love it for years. 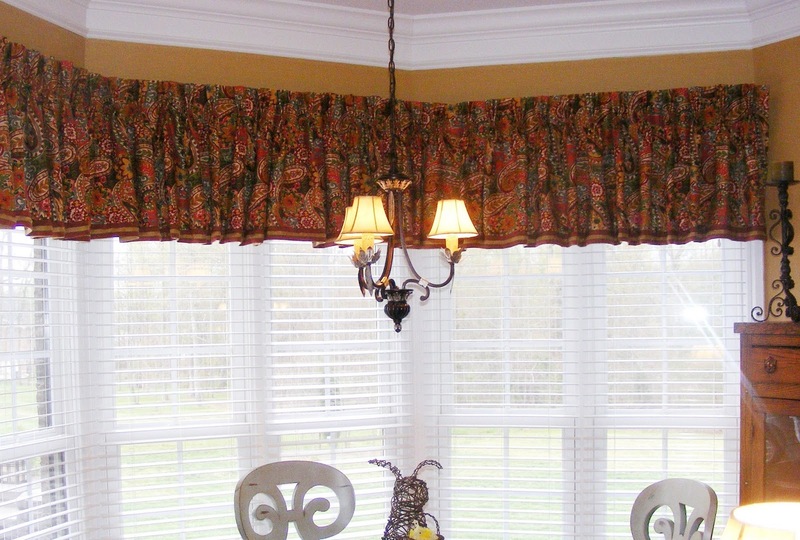 OR, type the words “window treatments” in the search box, for lots more valance photos! How to layout a living room for optimum TV viewing, 6 must read tips!